who wants to prevent their data from being accessed by others. ...who wants to take advantage of secure 384 bit AES-XEX encryption. who wants to save highly sensitive data like TAN lists, PINs, etc. - concealed and encrypted in e.g. a photo. 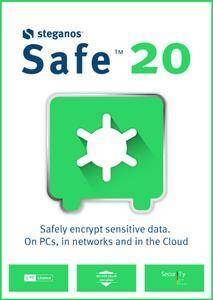 Steganos Safe works just like a real vault and protects all of your data from unauthorized third-party access. Without the right password, nobody can retrieve the contents. And with Steganos PicPass you don't even need a password. The right sequence of images will open the safe.